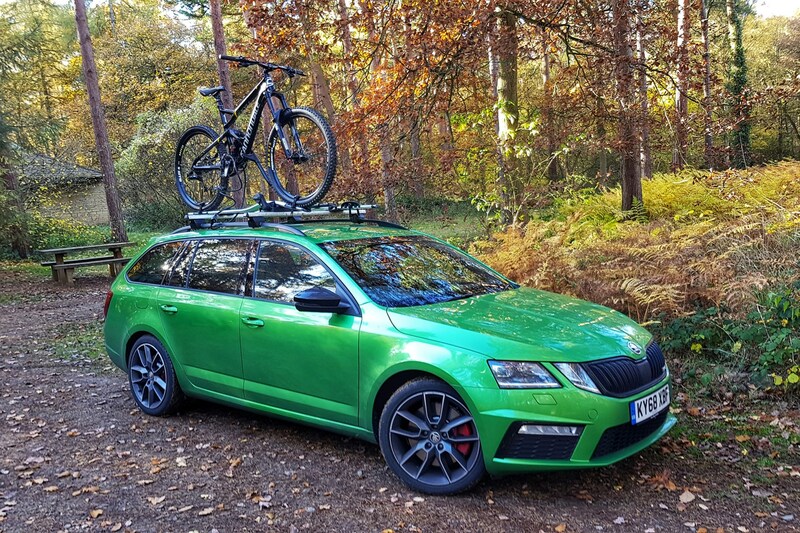 Since before I can remember I’ve always associated fast Skodas with violent, migraine inducing green paint – whether on the calipers of a mythical onyx black covert police hatchback or the body panels of the venomous looking estate in front of you. 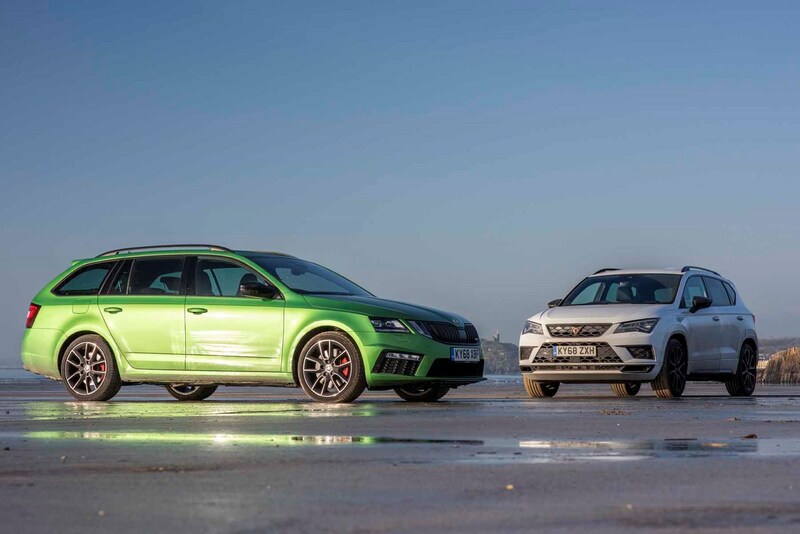 There’s something a bit sensible-car-gone-bad about the Octavia vRS as it is, in the same vein as a fast Volvo, and that’s made all the more exciting by a shade of paint that wouldn’t look out of place on a Lamborghini. So when it came to speccing up this car – which is the opposite end of the options spectrum as the everything-standard blue car it replaces (you can read all about that here), I decided to pick some paint that put it equally far away in the visual spectrum, too. And doesn’t it look striking? That’s the combination of the lurid paint job and the darker exterior trim pieces – the chrome of the old car is gone, replaced by piano black plastic and tinted rear windows. 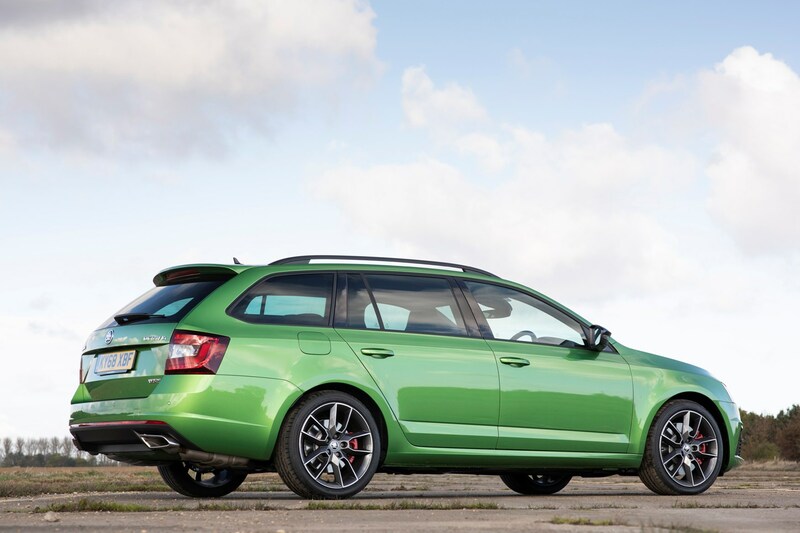 While our blue Octavia had something of a stealthy silhouette which meant from a distance you couldn’t be sure if it was a vRS or a 150hp diesel, there’s no mistaking the intent of this model. And that’s reflected in a suitably more purposeful drivetrain – 245hp, with a limited slip differential and DSG automatic gearbox to help put that power down. Thing is though, I configured this car before I’d even driven the blue one, assuming more power and sophistication in the drivetrain would be an obvious improvement, and along with a more exciting paintjob. As time went on in the blue car, though, I came to appreciate its subtle looks and incredible value – it’s a fast car for people who don’t want everyone to know they drive a fast car. I’m starting to wonder whether you kind of ruin that vibe by making it eyesore green. Yes! And to match the uprated car I’ve also bought an absolute weapon of a bike, which required a trip to north Wales to collect, and of course a detour to Snowdonia for a shakedown of the new car’s handling. I said the blue Octavia was just like my hardtail bike – fast, simple, agile and above all good value – well this model with its extra grip and power is more like a full suspension enduro. Not only is it pricier and more complicated but it’s also comfier, thanks to the addition of adaptive dampers that give you a range of ride options from cushy soft to hot hatch stiff. 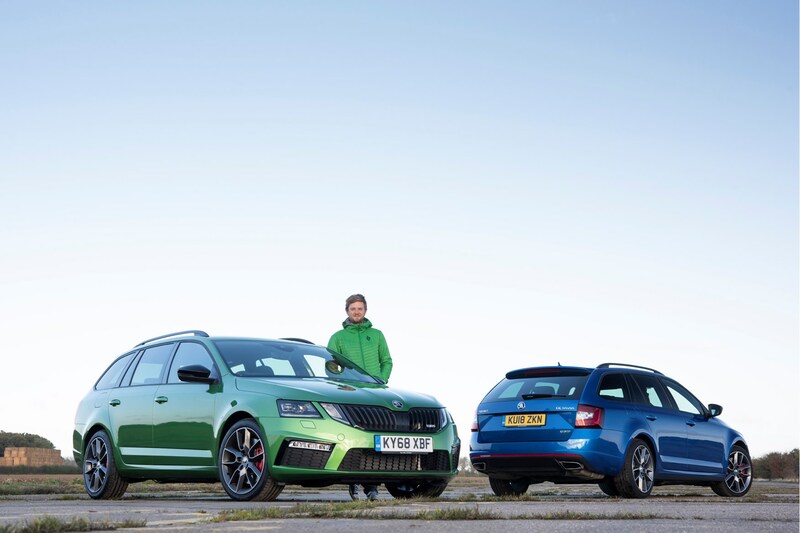 Additionally you’ll noticed the green car has the same 18-inch wheels as the Octavia it replaces – normally the vRS 245 has the larger 19-inchers on it. At some point between order and delivery Skoda dropped those wheels unless you purchase them separately as accessories. I’m almost disappointed in myself to say this because I love the way the big wheels look, but I’m secretly quite pleased. Because the way this green car rides is uncanny - comfier in the day-to-day setting and less rolly polly in Sport mode. Whether or not the colour was a good choice will come to light over these updates – it’s already dividing opinion in the office. For now I think it's absolutely excellent. 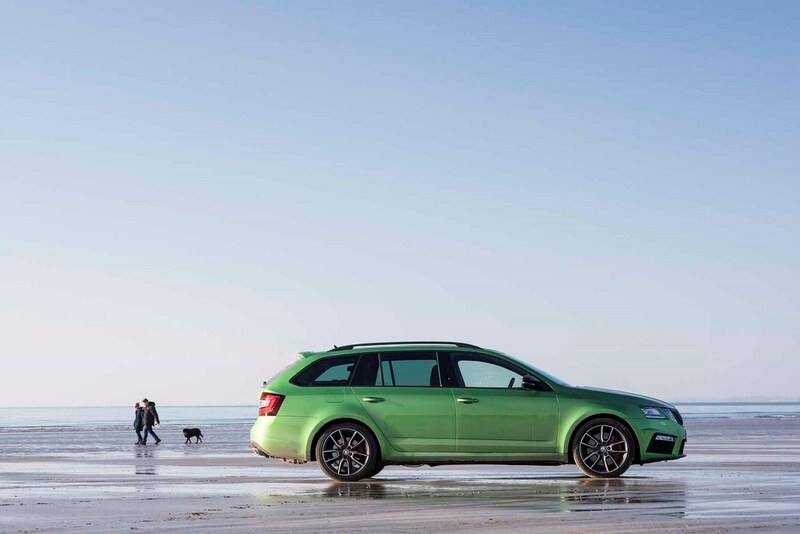 When Parkers ran a completely standard Octavia vRS estate we spoke about its extraordinary value and the great news is little has changed since we’ve swapped into this higher spec car. 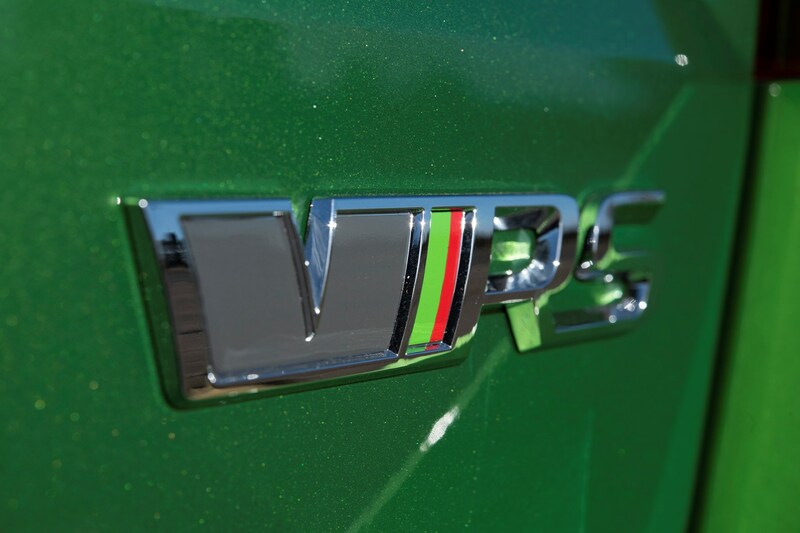 Skoda used to offer two grades of petrol vRS – called 230 and 245. Our blue car was the former, this green car the latter, and offered more power as well as a limited-slip differential and bigger wheels. Since then the 230 has been dropped, so you can only get the more powerful 245hp version we’re running here, albeit with 18-inch wheels as standard. The 19-inch ‘Xtremes’ you used to get are a £665 option now, but the optional black styling pack is standard, so swings and roundabouts. 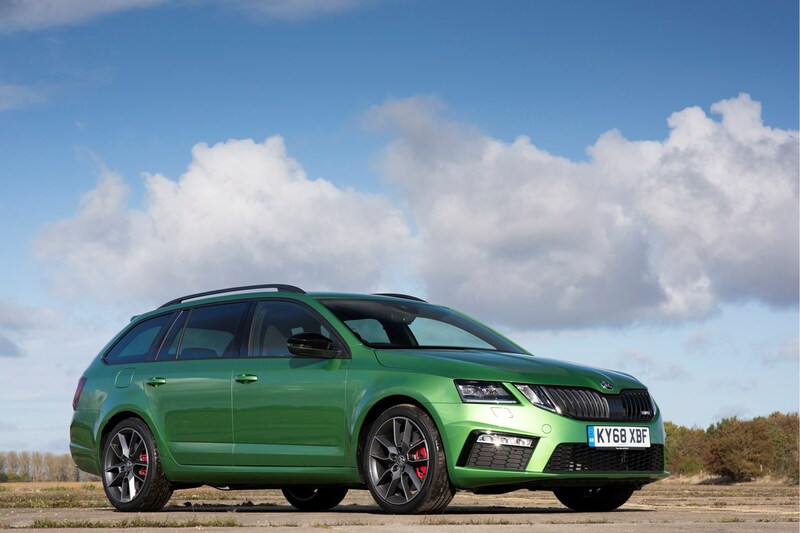 Octavia vRS still builds on the SE trim and at £29,245 is still cheaper than the Octavia Scout or Laurin & Klement models. Loads! Well, some. Our blue car was standard except for a spare wheel, while this model has options taking the price up to £33,845. At the moment you can only get a vRS with a 184hp diesel engine used elsewhere (notably in the Octavia Scout) and this 2.0-litre petrol with 245hp and 370Nm of torque, which is vRS only. This car is two tenths quicker from 0-62mph that the old 230hp vRS, taking 6.6 seconds (identical to the manual). 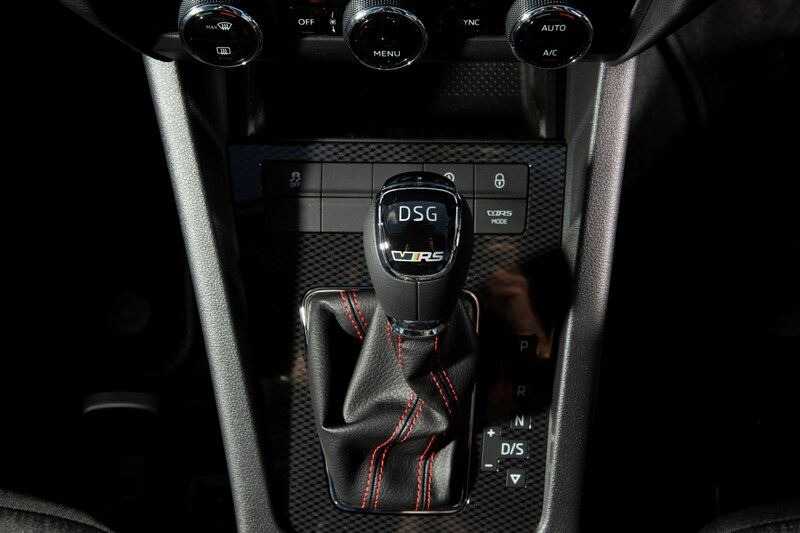 Suitably more laid back than the manual thanks to that DSG automatic gearbox, but also ferociously grippy in corners – the diff works extremely well. 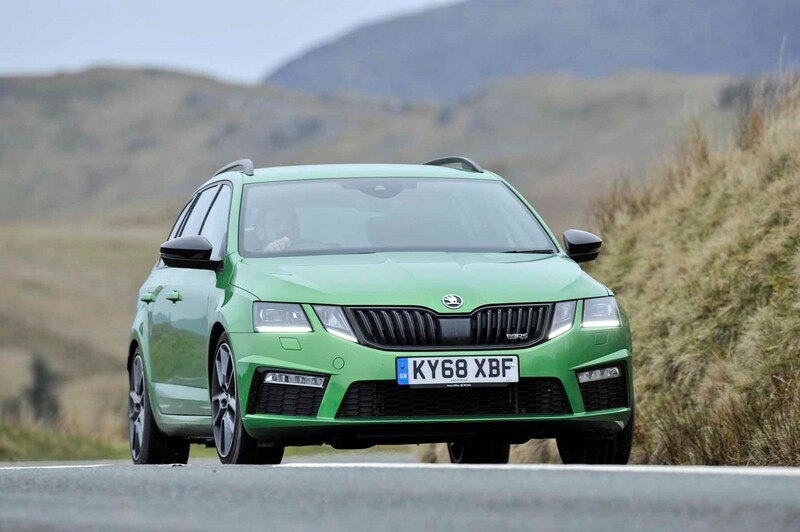 Adaptive dampers in combination with the 18-inch wheels means this vRS rides like any other Octavia, but will hunker down in its stiffest sport mode for much flatter handling. In truth I’m not sure I can notice the additional power, but given our short time with the car so far, I’m happy to say the limited-slip differential makes the 245 more desirable than a nearly-new 230. 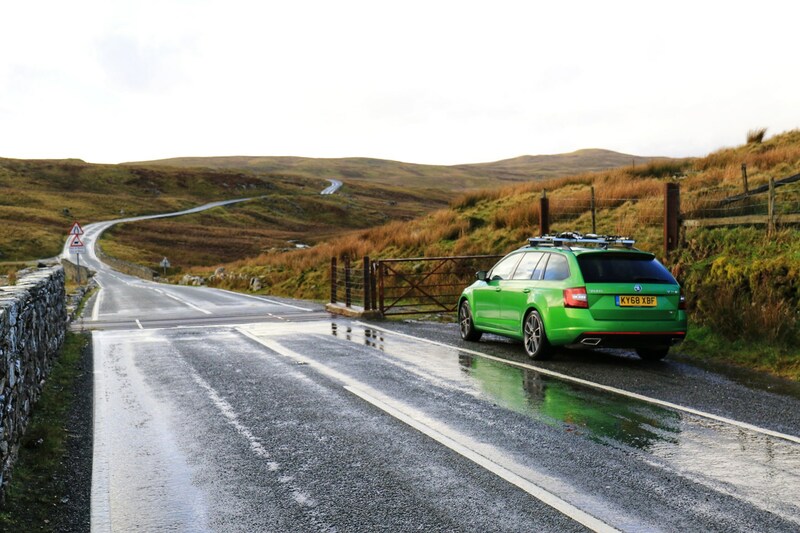 During the first week of January when the car launch calendar was quiet, a bunch of us from the Parkers team went to north Wales in our long termers for a bit of an adventure. We did something similar last year (although that time to the North York Moors), and found the whole experience very rewarding – not only for the opportunity to carry out some spirited driving in each others’ cars in scenic and unfamiliar roads, but also to test how they fared on a boring motorway slog too. A solid all-round test. What cars did you take? 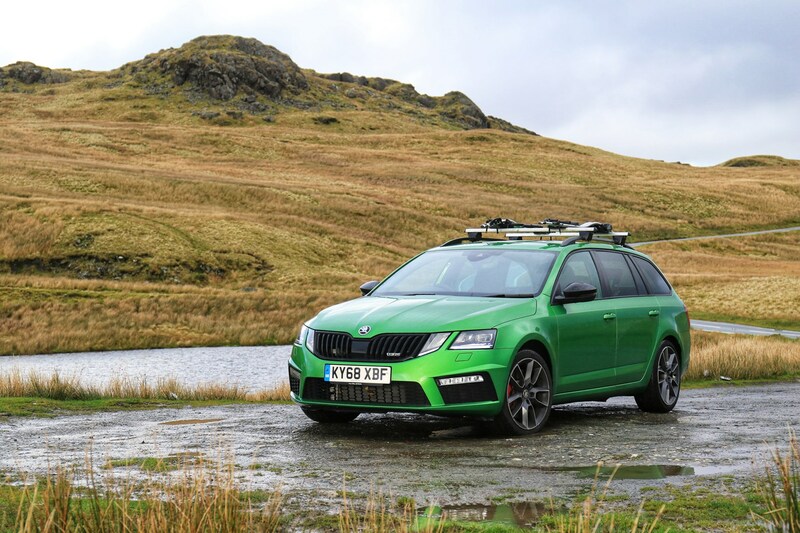 Including my Skoda Octavia vRS Estate, we took Lawrence’s Peugeot 308 GTi, Chris’s BMW M140i, Richard’s Mitsubishi Eclipse, Gareth’s VW Amarok, Stuart’s Vauxhall Grandland X, Tom’s CUPRA Ateca, Keith's Volvo S90 and James’s Ford Focus. Quite a mixed bunch with a variety of talents - B-road shredders, practical pick-ups and family car cruisers. The Octavia, I reasoned, was a mixture of all of those things, and therefore the best. I wasn't expecting everyone to agree, but in fact I (and most of the team), came away with even more appreciation for our green wagon than before we left, as I will now explain. How was it on the motorway? I’ve done a fair few long trips in this Octavia (and the blue car before it) so wasn’t expecting to learn all that much that I didn't know already this time around. The driving position is ideal, the seats squashy, yet supportive enough to resist backache, and the DSG automatic gearbox happy enough to be left to its own devices so you can be lazy with your left leg. It’s not perfect though – a combination of a seemingly small petrol tank and low 30s mpg means realistically an average of 300 miles per tank, and there’s quite a bit of road noise from the tyres. The latter can be drowned out with music and the former just means you get to stop for food more often, so really neither is a massive hardship. What is impressive is the ride on our 18-inch wheels and optional adaptive dampers. It really is tricky to tell this car is a sporty vRS on a long drive – there is absolutely no compromise in terms of ride quality. 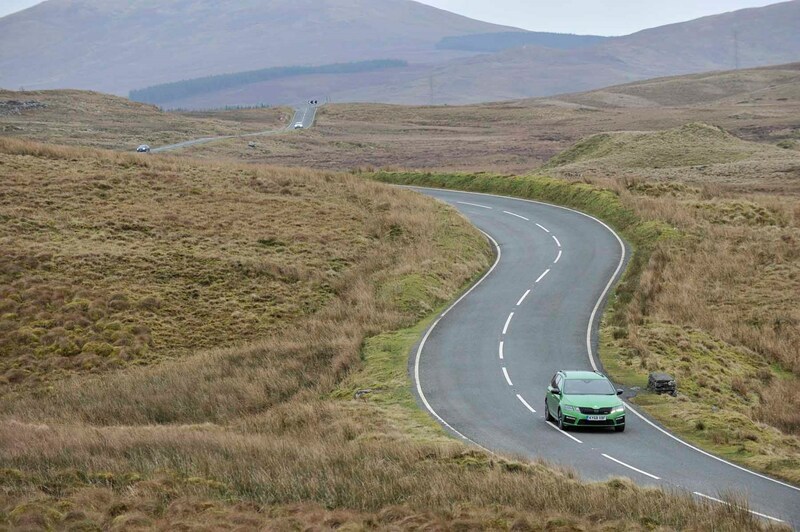 Our road trip took us into the heart of Snowdonia, for a blast down the B4391 – a country road that manages to be tight and technical as well and open and sweeping, with gradient change, on- and off-camber corners and tricky crests to navigate. All you could want, really. I’ll be honest – I’ve never thought of the Octavia as being in the same league as things like our 308 GTi or M140i in territory like this. Sure it’s fast and very capable thanks to turbocharged 2.0-litre engine and limited slip differential, but it’s not quite as focussed as those, or even the Golf GTI upon which it is based. But actually of all the cars we drove on our trip it was my absolute favourite – the chassis is supple over undulating terrain allowing it to follow the road without catapulting you into the undergrowth, and yet there's a firm edge as you approach the limit of the suspension's travel. There's enough power from the engine to enjoy without losing your licence and the steering is weighty and accurate too. It was absolutely fantastic fun. Better than the CUPRA Ateca? Of all the cars here the souped up SEAT was perhaps the closest mechanically (being a fellow VW Group car), and most different thanks to its all-wheel drive and SUV body. 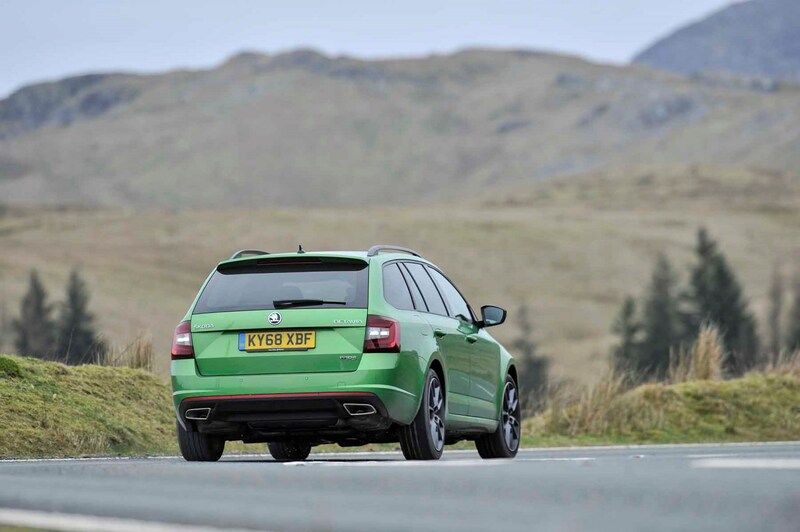 I began the day thinking the CUPRA would be the most impressive on our narrow B-road test route given its extra power and grip, but actually the Skoda felt just as planted (in fact, one colleague asked whether it was also AWD) and not noticeably slower. Plus being lower to the road surface meant it felt more agile too. And the Skoda is cheaper. And more green. The Ateca is a great car and to my mind feels more like a Skoda vRS product – comfortable, practical and easy to use, with a faster edge when needed – than a traditional CUPRA model, which always seem a bit compromised in the interest of outright handling. That's not a bad thing, it just doesn't excite in the same way as a Leon. What did everyone else think of the Octavia? 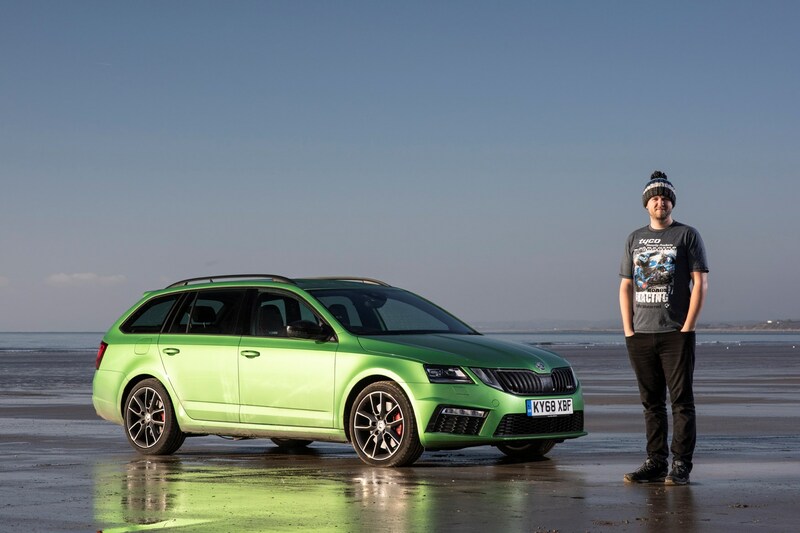 Weekend racer James Dennison said: ‘Of all the cars that we piloted up and down that lovely piece of B-road in north Wales, the Octavia vRS stood out the most for me. Not because it was the best (that honour goes to my Focus or the BMW M140i), but because of how surprisingly un-estate-car like it was. Gothic poet Richard Kilpatrick said: ‘Taking the wheel of the Octavia right after my Eclipse, the driving position felt low and the seat had minimal adjustment, but aside from a lack of thigh support there’s nothing to make it uncomfortable. 'Side support is impressive, a little tight for my shoulders, but that turns out to be very appropriate. 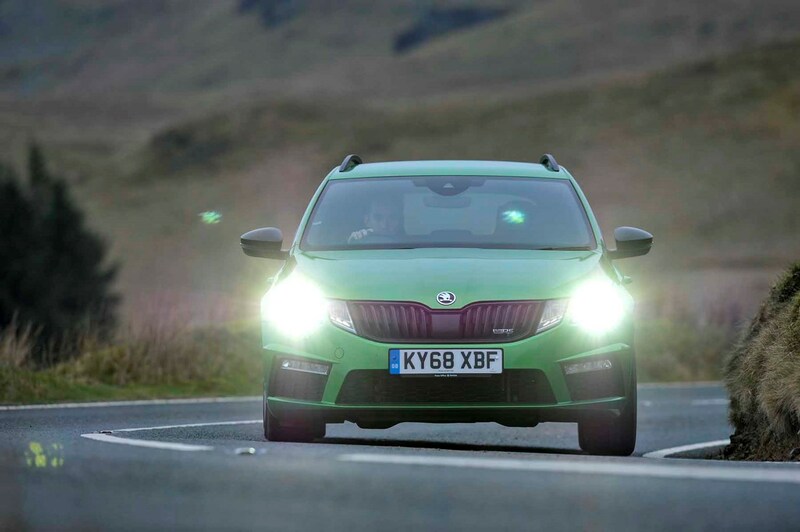 ‘Off the mark the Skoda pulls away with little drama and a lot of progresss, and through fast, undulating bends it’s planted and precise. There’s a harsh edge to the suspension, but it copes well with crests and afterwards, the revelation that this is front-wheel drive is genuinely surprising. Pleasantly surprised Lawrence Cheung said: 'Well this was a surprise. This also doesn’t make any sense. The Octavia is meant to be the slower, slightly doughy and the least sporting of the VW group of hot hatches, but why does it work so well here? With the engine on song, the throttle response is sharp and the steering is up there with the Focus for response – if less busy. This was the biggest surprise for me on this road, along with the Volvo S90. 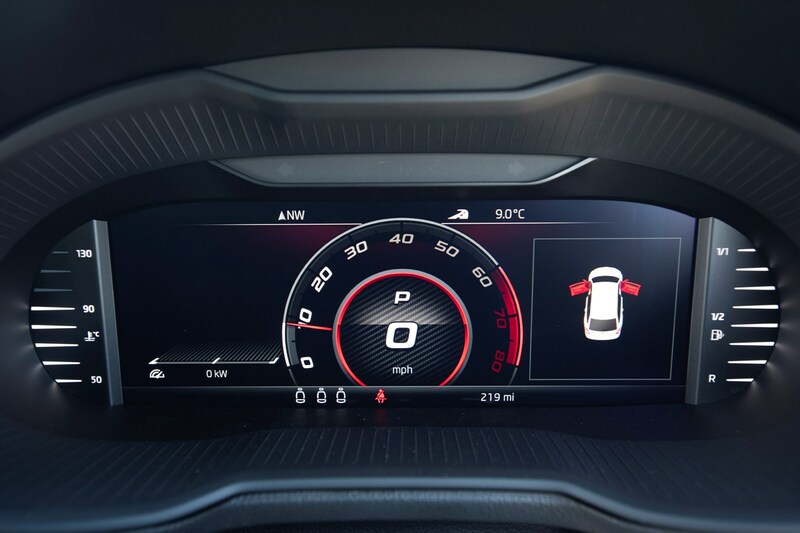 Technophobe Christofer Lloyd said: Hideous digital dials – look staggeringly cheap and nasty. Fast, comfy, planted. Impressive to drive, very capable and satisfying. ‘Very smooth on reasonable roads, but surprisingly firm over not-so-good tarmac. Also throws up a lot of tyre noise. Detracts from long-distance cruising ability. So there you have it. For my money the BMW M140i was the best hot hatch on our test, while the Volvo S90 was the best mile-munching cruiser. If you want something that does both and costs less than either too, you’ll have to get an Octavia.